There have been many new developments in our understanding onf non-neoplastic and neoplastic endocrine diseases. 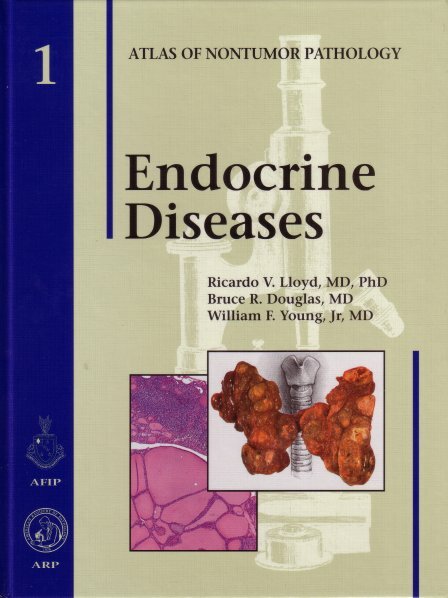 For practicing pathologists, non-neoplastic endocrine diseases are often more problematic in establishing a histologic diagnosis, since it is usually necessary to integrate the clinical history and laboratory findings with the histopathology to establish a definitive diagnosis. This important fascicle, the first in the Atlas of Nontumor Pathology series, lays the foundation for anatomic pathologists to readily establish diagnoses of non-neoplastic endocrine lesions. In five chapters integrating histopathology, radiology, and clinical features with outstanding illustrations and tables, this fascicle characterizes the broad scope of lesions encountered in the anatomic pathology of non-neoplastic endocrine diseases. The pathologic features of the lesions with detailed histological, cytological ultrastructural immunohistochemical, and, in some cases, molecular biological findings are explained systematically. Issues of differential diagnosis are discussed in detail.